Motive Gear Standard Performance Ring and Pinions are excellent replacements for original equipment and offer superior strength and quality compared to OEM Ring and Pinions. 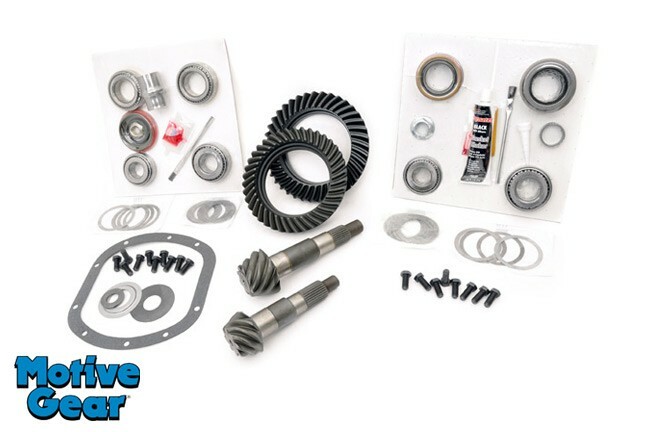 Gear package includes (2) Ring & Pinion Sets and (2) Master Overhaul Kits. Regain lost power and torque from installing larger tires.